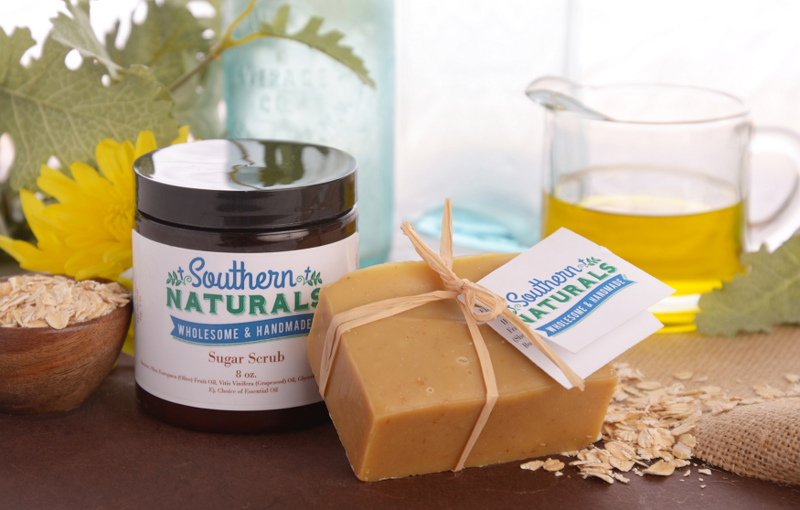 ﻿﻿Southern Naturals sugar scrub recipe uses the power of nature's sweetness to soothe and exfoliate leaving your skin polished and feeling like silk. Use this treatment all over your body to nurture your soul and help maintain youthful looking skin. Southern Naturals incredible sugar scrubs are a body's best friend. Sugars scrubs buff roughness away and brighten bodies that were once dull and gray. Natural vegetable oils like coconut oil, shea butter, cocoa butter, sweet almond oil and vitamin E hydrate within to soften even the driest of skin.